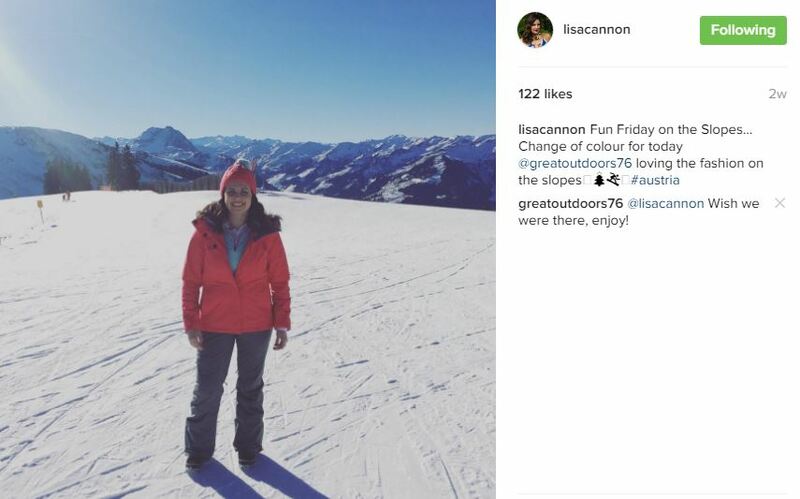 Lisa Cannon went to the Austrian Alps recently with TV3’s Saturday AM to try her hand at skiing, snow shoeing, tobogganing and to enjoy Après Ski. Great Outdoors kitted her out to make sure she stayed warm, protected and looked the part. Lisa wore the Columbia Salcantay Jacket €199 which is highly insulated, has zipped underarm ventilation, adjustable hood, a google pocket, and soft lined pockets. On her bottom half Salle Pant €145 which has snow locks at the ankles to keep the powder out and an elastic belt to give a perfect fit- no matter how many thermal layers you have on underneath. You can never underestimate the power of a good base layer and Lisa wore the Helly Hansen Warm Pant €69.99 and the Helly Hansen Freeze 1/2 Zip €79.99. To keep her hands warm she wore the Zell Gore-Tex Glove by Zanier €89.99 which have a goat skin and silicone patterned palm for an excellent grip. These gloves have an especially slim cut for women and are easily taken on and off with a Velcro closure. The Gore-Tex® Membrane and PrimaLoft® make them a great glove for cold conditions. Under those, she wore the Manbi Thermal Inner Glove Liner €10.99 which are great for adding extra warmth without adding bulk. The Manbi Premium Sock with soft terry loop made sure she was comfortable all day long in her ski boots. The Buff Polar Buff €34.99 which can be worn in a whole manner of ways including neckerchief, hair-band and a balaclava helped her keep warm and protect her face. Finally, for extra Bond Girl vibes she wore the Barts Josh Hat €39.99. For a pop of colour on the slopes, Lisa wore the bright red Alpine Vista Jacket by Columbia with cosy faux fur trim on the hood, the Columbia Veloca Vixen Pant €180 and the dusty green Columbia Freeze ½ Zip €29.99. Keeping her feet warm were the Manbi Patterned Tube Sock €10.99 and the Sorel Tivoli II Boot €140 which are fleece lined and waterproof. She topped it off with a pink Columbia In bounds Beanie €29.95. Perfect for Après Ski! 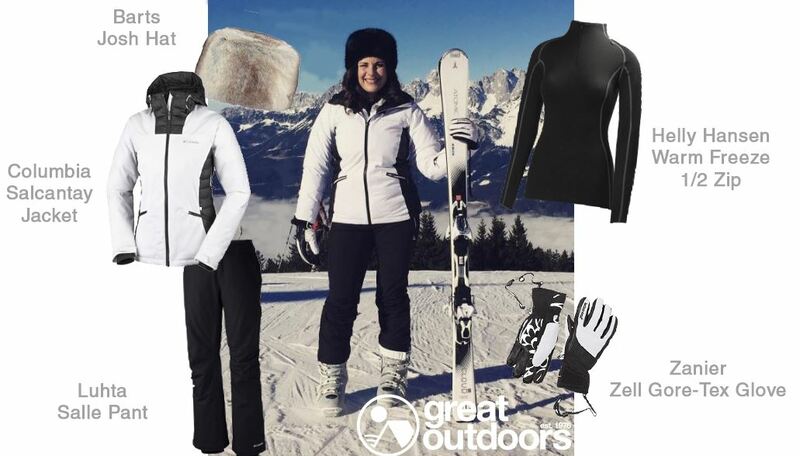 To get kitted out for your own ski adventure, call in to Great Outdoors in Chatham Street or you can shop online.